Advanced Education, Canada’s premier classroom technology provider for the K-12 education market, has been appointed by Samsung to serve as the company’s Canadian partner in the deployment of the newly launched Samsung School initiative. The partnership was introduced by co-president, Advanced Education, David Weatherhead at the Samsung School debut at ISTE 2013. Samsung School creates a cohesive BYOD (Bring Your Own Device) environment for K-12 classrooms, with its integration of Samsung Galaxy Note 10.1 tablets for each student and dedicated Samsung School software that facilitates collaborative learning while providing a variety of classroom management tools for teachers. 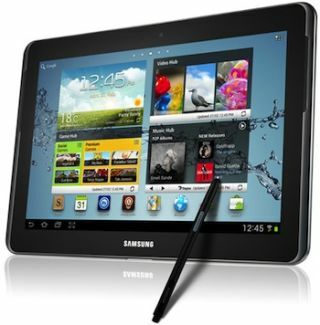 According to Weatherhead, effective immediately all K-12 school districts in Canada will be able to purchase the specially configured and priced Samsung Galaxy Note 10.1 tablets either through direct purchase order to Advanced Education or through purchases made at a specially created online store. Advanced Education and Samsung are offering a special package on Galaxy Note 10.1 Tablets that includes a $50 instant rebate, a free Samsung case (a $65 value), and free shipping. This offer is available to schools, parents, and students across Canada. Samsung School is an integrated digital education solution for K-12 classrooms, combining Samsung Galaxy Note 10.1 tablet with learning management and interactive teaching software. The learning management system (LMS) helps teachers with course administration and content management. In class interactive teaching tools include: screen sharing, student screen monitoring, screen lock, instant quizzes, group collaboration, dynamic access to content, and controls to track student progress and lesson plans, while making use of the Galaxy Note 10.1 tablet and S Pen. Samsung School is a complete classroom solution, which consists of the Galaxy Note 10.1 tablet for student and teacher use as well as Samsung School software licenses. Additional Samsung components can easily be configured, including a 55- or 65-inch digital e-Board, wireless printer, notebook PC for class curriculum management, and an AllShare Cast dongle for existing in class e-boards. Advanced Education, a division of Advanced, is at the forefront of the educational revolution by introducing and supporting the integration of interactive technology into classrooms throughout Canada. The company assists with any type of integration solution from a single projector or interactive whiteboard to technology plans for an entire school district. Advanced Education is much more than a technology provider. Their team of education consultants also work directly with teachers, school districts, colleges, and universities to develop and deliver relevant, curriculum based professional development sessions for educators.